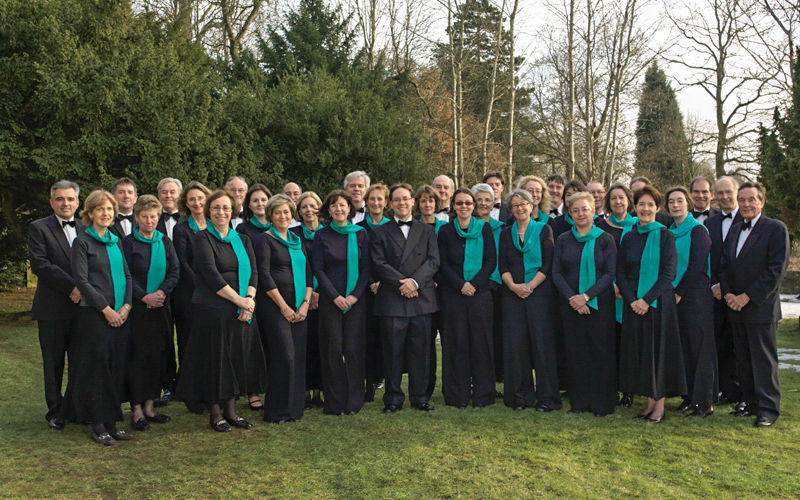 The Cantate Choir was formed at the beginning of 2002 since when it has performed varied music programmes to a high standard at venues in the Sevenoaks area. As a local amenity the choir aims to produce high quality work which gives it the opportunity to attract high calibre professionals to work alongside it. The choir was registered as a charity in 2004. In 2006 the Choir’s versatility was demonstrated with a performance of Mozart’s Requiem in March as part of the celebration of the 250th anniversary of the composer’s birth, followed in June by Poetry in Music, a concert of settings of poems by well-known poets. On Armistice Day, November 11 the choir staged Remember! featuring music and readings on the theme of remembrance and recollection. To round off the year it joined the Voce orchestra in December for the performance of all six parts of Bach’s Christmas Oratorio. In March 2007, the choir teamed up with the period-instrument ensemble Vivace! for Baroque Masterworks including Vivaldi’s Magnificat and Handel’s Dixit Dominus. In June they performed the Rachmaninov Vespers, and concluded the year with a family Christmas concert. Bach’s St John’s Passion in March, 2008 again saw the choir working with Vivace! and in June a concert was staged featuring first performances of pieces written for the choir by Nimrod Bernstein. The year ended with a concert of Christmas music including O Magnum Mysterium, a contemporary oratorio by Norwegian composer Kjell Mørk Karlsen. Cantate’s contribution to the 250th anniversary year of Handel’s death was a performance of Messiah in March, 2009, again working with Vivace! In June the choir’s concert in St Bartholomew’s Church, Otford included an eclectic variety of music by Part, Parry, Purcell and Palestrina. The year-end concert, Celebrate! featured music by Haydn, Mendelssohn and Bruckner. In March 2010 the Choir was again joined by Vivace! to perform Haydn’s Creation with international soloists. Summer Serenade in June was an evening of lighter music performed, in part, outdoors on a pleasant summer’s evening. The year ended with a candlelit Christmas concert to a capacity audience at St Mary’s Platt Church. In 2011 Cantate visited Tuscany on its first overseas tour, performing music from Renaissance Italy and 19th century Europe in three of the region’s historic churches. In November 2011 the choir gave the first performance outside London of Gareth Wilson’s Decalogue coupled with Duruflé’s Requiem. Cantate joined the Queen’s Jubilee celebrations in June 2012 with a concert of music for royal occasions and later in the year celebrated the 10th anniversary of the choir with a concert that included a contribution from a visiting Norwegian choir. The year concluded with a Christmas concert featuring Vaughan-Williams festive The First Nowell. In March 2013 the choir was again joined by Vivace! and soloists from the Royal Academy of Music to perform Handel’s Judas Maccabaeus. The anniversaries of Britten, Dowland and Verdi were celebrated in music by the choir in June. In October a contrasting programme of early and recent polyphonic music was performed at St Luke’s Church, Sevenoaks in the presence of Alexander Levine, composer of Prayers for Mankind, which formed the second half of the programme. For 2014 we set ourselves quite a challenge performing the 40 part motet Spem In Alium. The concert was also exciting for our first time collaboration with His Majestys Sagbutts and Cornetts. The programme took us on a journey through a range of celebratory and contemplative music from the Renaissance. It was a lot of hard work but we had a fantastic time. The concert broke our box office records and we performed the Tallis piece to a standing ovation. Read our concert report in the news section. Following fast on that success we went to Canterbury to perform at the Final of Top Choir Kent 2014 which we won! We performed a 15 minute repertoire to show our range: Gabrieli Jubilate Deo a 8, Somewhere over the Rainbow and Bobby Shaftoe arranged by Willcocks. David Flood, Organist and master of Choristers at Canterbury Cathedral, who was one of the judges said at the presentation: ‘The choir exhibited the ability to perform at a remarkably high, almost professional, level’. More details on that can also be found on our news section. Members of The Cantate Choir are singers with some training and/or experience. Admission to the choir is by audition with the Music Director. Please see the How to join section for details of how to apply to join the choir.